Bill Gates tops Forbes list for the fourth year in a row. India is home to the world’s fourth highest number of billionaires, with Reliance Industries chief Mukesh Ambani leading the club of more than 100 billionaires, according to Forbes magazine. Bill Gates has topped the list for the fourth time in a row with a net worth of $86 billion, up from $75 billion last year. He has been on the top of the list for 18 out of past 23 years. Bill Gates has been followed by Berkshire Hathaway chief Warren Buffet with a new worth of $75.6 billion and Amazon’s Jeff Bezos, with $72.8 billion to his fortune. The list include 2,043 richest people of the world who have a collective net worth of $7.67 trillion that has increased by a record 18 percent over the past year. The US continues to have highest number of billionaires as compared to any other nation with a record breaking 565 billionaires. China has 319, Germany 114 and India has 101 billionaires. Mukesh Ambani is at the 33rd position globally, with his net worth of $23.2 billion. 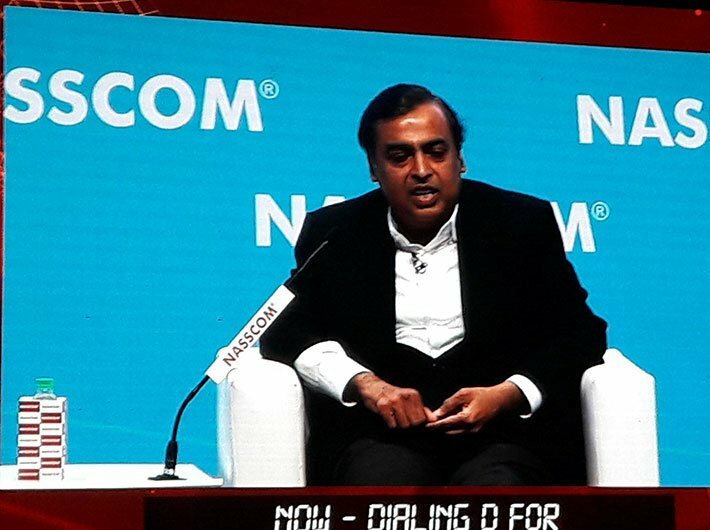 Forbes said that the Ambani ignited a price war in India’s extremely competitive telecom market with the launch of 4G phone service Jio last year. Laxmi Mittal, chairman and CEO of steel and mining company, ArcelorMittal is at the second position with a net worth of $16.4 billion. There are approximately 20 people of Indian origin who have made it to the Forbes list, led by UK based Hinduja brothers, who were at 64th position with their net worth of $15.4 billion. Pallonji Mistry, who controls the Mumbai headquartered Shapoorji Pallonji Group, is also on the list at 288th position with a net worth of $5.4 billion. Only four Indian women billionaires could make it to the Forbes list. They were led by Savitri Jindal who holds 303rd position with a net worth of $5.2 billion.